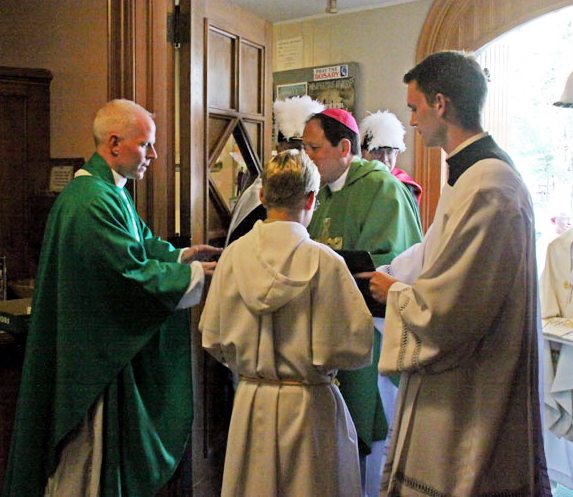 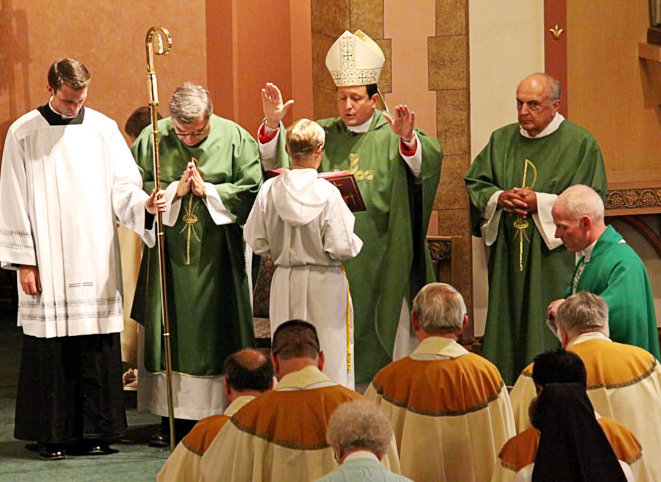 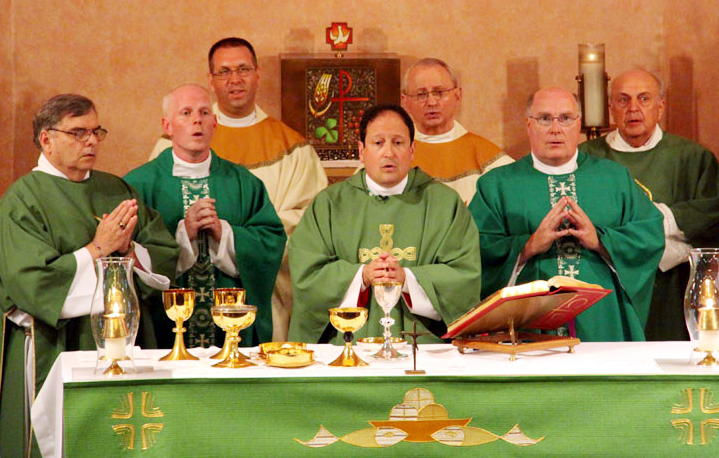 Father Christopher Rogers was installed Aug. 1 as pastor of St. Patrick Parish in Kennett Square by Bishop John J. McIntyre. 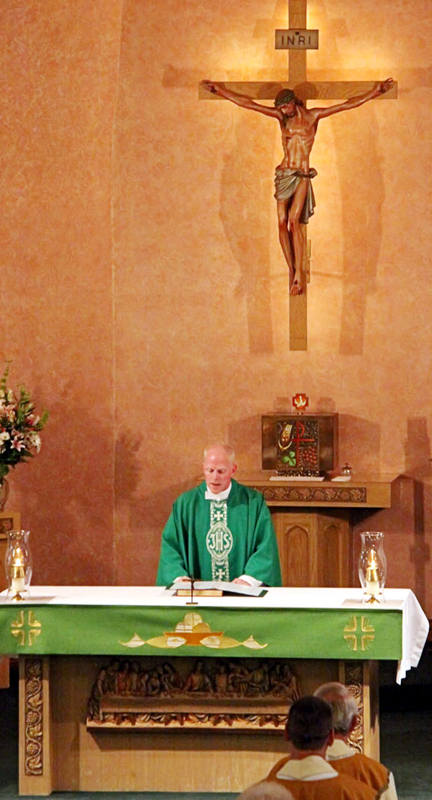 See our photo gallery below on the festivities at the parish established in 1869 in southern Chester County. 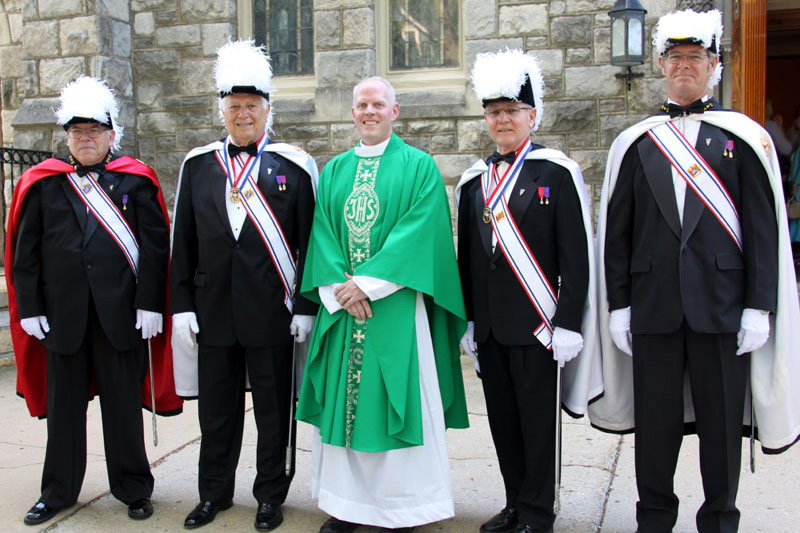 Father Christopher Rogers stands with the Knights of Columbus members of his parish. 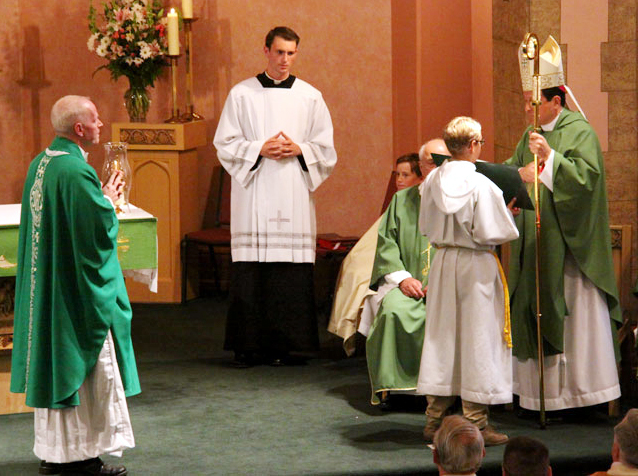 Bishop McIntyre hands the key to St. Patrick church to the new pastor, Father Rogers. 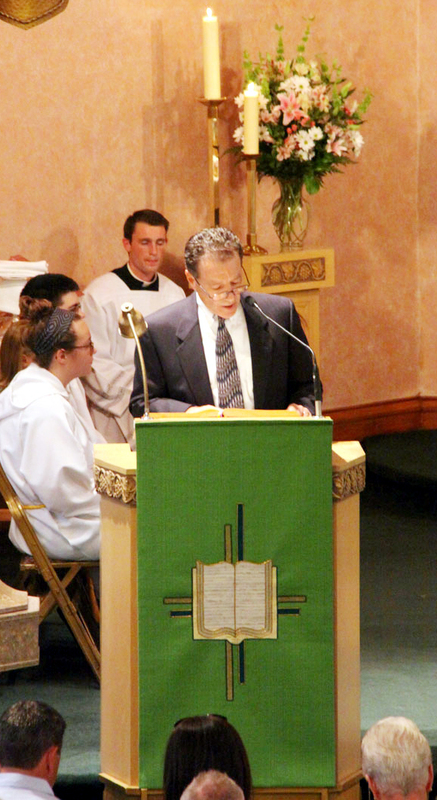 Deacon Jim Madonna proclaims the Gospel reading. 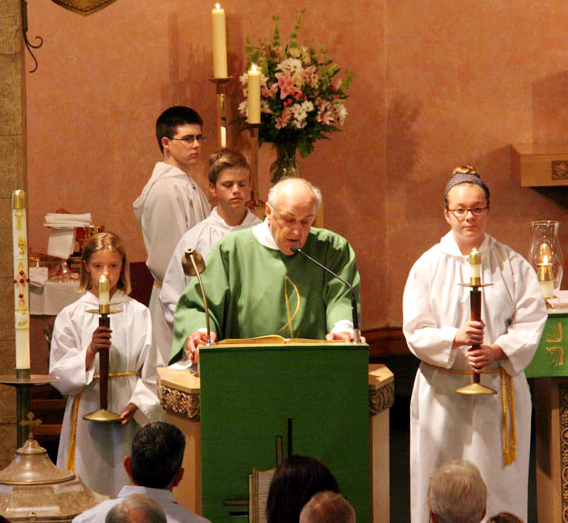 He served as deacon of the word for the Mass. 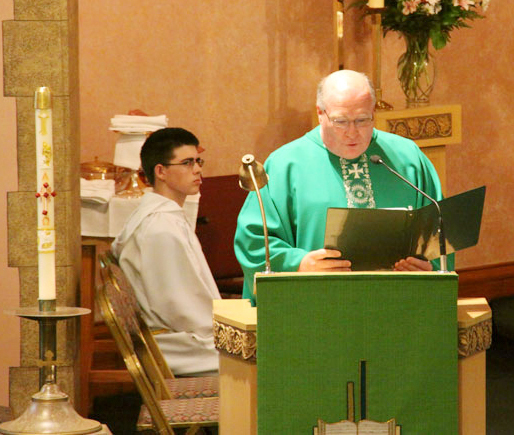 Reading the proclamation from Archbishop Charles Chaput was Father Michael Fitzpatrick, dean of the Western Chester County and Oxford Deanery.